This past weekend I was blessed to attend most of the Anabaptist Identity Conference, held this year near Napannee, Indiana. This was the 10th AIC, and it lived up to its reputation as an event which gathers a provocative diversity of speakers and listeners. We heard an Amish speaker (David Kline) explain the benefits of organic farming, and during one meal I sat across the table from a retired Goshen College history professor (Theron Schlabach). David Bercot shared with surprising candor his experience of how hard it is for most non-Anabaptists to ever join an Anabaptist church, given our cultural additives and our reluctance to let “outsiders” have a meaningful voice in shaping our churches. In contrast, Matthias Overholt, dressed in a plain brown suit and sporting a massive beard, animatedly preached the importance of “visible reminders that we are not a part of the world’s culture.” Beachy, Hutterite, Charity, Holdeman, MCUSA, Old Order Amish, New Order Amish, first-generation Anabaptists, unidentified plain Mennonites, and more–we all mingled without bickering for a few days and enjoyed GMO-free meals together. Some even traveled all the way from Down Under just to learn more about the Kingdom that turned the world upside down. Organized by the hippy-Anabaptist Overholt brothers, it was an earthy little bit of heaven on earth. I don’t plan to give a detailed report of the weekend. The talks should soon be posted online here so you can listen and ponder for yourself. [Edit: See also the reviews by Rich Preheim and Theron Schlabach at the Mennonite World Review.] It would be interesting to discuss John D. Martin’s remarks about participatory church meetings and observance of the Lord’s Supper (we need more of both) and Chester Weaver’s observations about how we have been shaped by Fundamentalism (some pro, mostly con). Suffice it to say that throughout the entire weekend I sometimes said “Amen,” I sometimes shook my head and agonized over error, and I always enjoyed the immersion education experience. So, keeping things fairly general and naming names judiciously, here are some things I learned at AIC 2015 about how to use or not use the Bible in our preaching and teaching. Do call each other to passionately follow Jesus. Dean Taylor’s favorite question is so helpful: “What if Jesus really meant every word he said?” We need to hear more, not less, about following in Jesus’ steps, obeying his call to radical discipleship. The AIC always does well at this, and for that I am grateful. Don’t pit Jesus against Paul. I overheard one of the speakers in conversation, suggesting that it might be wise to place less emphasis on Paul’s writings. I believe he was suggesting that focusing on Paul’s writings tends to increase church conflict and distract us from following Jesus. I think this is a sad misunderstanding. I’ve written at length about this in my essay “Red Letter Reductionism,” which you can find here. Do emphasize that obedience is crucial. Head knowledge without obedience is useless. Preach the Sermon on the Mount! Keep James in the canon, for sure! And don’t hide disobedience behind either theological sophistication or a plain suit and cape dress. Again, AIC generally does very well on this point. Don’t say theology is unimportant. I heard one AIC speaker say “We are not theologians.” Another speaker (David Bercot) had a book on display entitled Will the Theologians Please Sit Down? 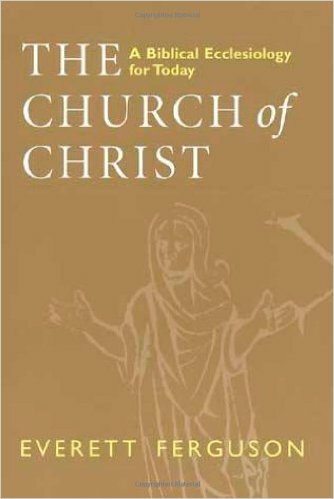 (Full disclosure: I have not read the book through, so I may be wrong; but my sense from the title, excerpts, and some reports is that the book is not as well-balanced as some of Bercot’s other books. At minimum, I sense some readers are using it to bolster an unhealthy whole-sale rejection of theology.) Ironically, every one of the AIC speakers is obviously a theologian himself! This was evident by the multiple explanations (sometimes generalizations) of how Anabaptist soteriology (theology of salvation) and ecclesiology (theology of church) is different from that of Protestants. Theology is inescapable and essential. Do learn from historical examples of interpreting and obeying the Bible. One of AIC’s greatest strengths is its emphasis on history. Chester Weaver’s talks on Russian Mennonites were fascinating! AIC always includes such historical talks. Incidentally, the discipline of studying how the church in the past has understood and obeyed the Scriptures is called historical theology–more evidence that AIC is full of theology, despite some protests to the contrary. Don’t rely more on history than on the Scriptures. One of AIC’s greatest weaknesses is its emphasis on history. (No, I am not contradicting myself.) AIC speakers are very concerned with statistics about how few Anabaptist children have remained in the churches of their parents. They trace the patterns of the past and issue warnings about the future. Make no mistake: I definitely share some of their concerns. But I am even more concerned when I hear almost no appeal to Scripture during a panel discussion on how cultural traditions affect our ability to pass on the faith and integrate non-Anabaptists. (I raised my hand too slowly to add my question: How should 1 Corinthians 9:19-23 affect both our approach as witnesses and also our goals for the kind of self-identity that we want our disciples to adopt?) Some AIC talks referenced much Scripture faithfully and effectively. Others, not so much. Do shape your sermons around Scripture. One of the best AIC talks this year was one by Ernest Strubhar, where he traced through the whole Bible the big story of the war of Satan against God. This is theology–biblical theology! Some of Strubhar’s Bible texts are notoriously difficult to interpret, and I quibbled with a handful of details in his sermon. But the big picture that he painted was faithful and powerful, providing a real hopeful foundation for radical discipleship. Don’t pull Scripture out of context to bolster your own claims. Unfortunately, another sermon this past weekend did not use Scripture so faithfully. By his own admission, the speaker’s key text was used out of context, with key words being interpreted differently than what they actually meant. This text was used to structure the speaker’s entire sermon. In this way, the speaker brought an aura of Scriptural authority to his own ideas, using God’s word to make his own words sound more convincing. This is very dangerous indeed. Ironically, the real meaning of the speaker’s text, when read in context, actually undermines (in my estimation) one of the speaker’s main claims! Do invite others to critique your Bible teaching. This is another strength of AIC. After each talk there is a brief Q and A session. The Overholt brothers do a good job as moderators, allowing and encouraging honest feedback and questioning. The speakers also welcome this, evidencing grace and humility. Mutual critique is also built into the roster of speakers, since they represent a variety of backgrounds. It would be good to see more of this feedback encouraged in our regular church meetings! Don’t pit the Scriptures against Christ. Several times at AIC 2015 there was an evident tension between the Written Word and the Living Word. Several times questioners felt a need to ask a speaker to clarify himself on this point. But it is irrational to try to know a person while downplaying his words. The liberal modernists of a century ago claimed that we could follow the Christ of faith even if it was impossible to gain certainty about the Jesus of history. They believed that the Scriptural accounts of Jesus’ life, death, and resurrection could not be trusted, yet they tried to salvage a mystical Christian faith. Today we can see where “Christ” without Scripture has led the churches that embraced this liberal modernism. I think all the AIC speakers would eagerly affirm the trustworthiness of Scripture. But true trust involves more than affirming that Scripture is true; it also involves drawing our own conceptions of Christ and his kingdom from the full Scriptural witness. Some of the AIC speakers do this very well. Others didn’t always display as much functional reliance on Scripture as I would have liked. Do call each other to passionately follow Jesus. Okay, this is a repeat of my first point, but worth repeating. This is AIC’s greatest strength, and it is the very best way that you can use the Bible in your own preaching and teaching. I came away from AIC 2015 with multiple blessings, including a renewed desire to live among a body of believers that listens well to the Written Word as a vital witness to the Living Word. I wouldn’t feel at home in every church group represented at AIC. But I am thankful to all the speakers for honestly sharing their hearts and prodding us to better follow Jesus. Do you have anything to add to this list? What would it look like if you made a similar list based on how the Bible is used in your church pulpit? Share your thoughts in the comments below!